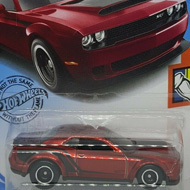 FYG15 is 173/250 in the mainline set, 8/10 in the HW Race Day series, and part of the 2019 Super Treasure Hunt set. It is Spectraflame red with white and black graphics. Goodyear logos, “4”, “Gum Ball 3000”, and the Hot Wheels logo detail the Corvette. “TH” can be found on the rear side panels. It has a gray interior, black roll cage, 8-Spoke Real Rider wheels, and a white plastic Malaysia base. 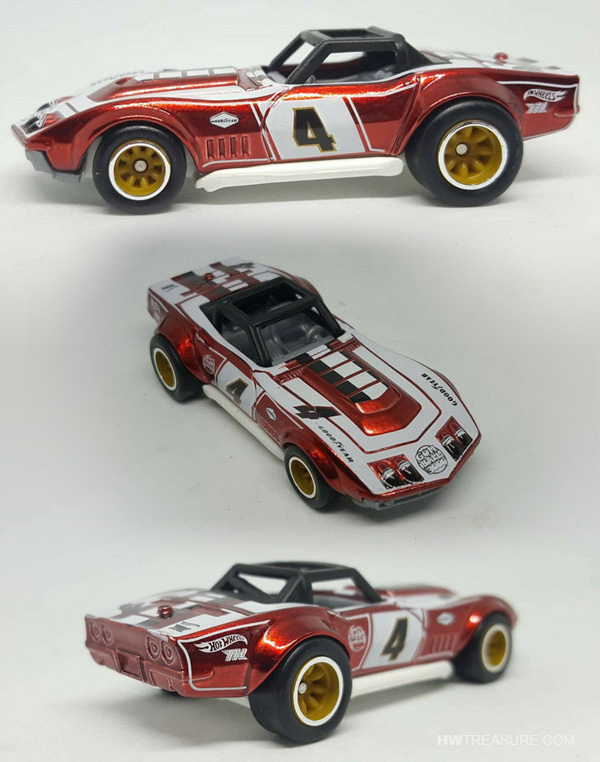 The ’69 Corvette Racer made its debut in the 2016 Night Burnerz series. It has been modified for racing, includes a roll cage, and lacks a roof and windows.